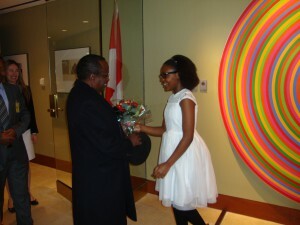 The High Commissioner of Kenya to Canada and Cuba, Amb. John Lepi Lanyasunya, MBS, arrived in Ottawa, Canada on February 23rd, 2015. Ambassador Lanyasunya, a career diplomat, has previously served as Kenya’s Ambassador to the Federal Republic of Germany and as a non-resident Ambassador to Austria, Romania and Bulgaria. He has also served as Kenya’s High Commissioner to Australia and as a non-resident High Commissioner to New Zealand. Prior to his appointment to the new post, Amb. Lanyasunya served as Director, Asia and Australasia Directorate, Ministry of Foreign Affairs and International Trade in Nairobi.